The Virtual Office service is an essential element of worry-free company formation in Hungary. Now, based on feedback from our clients, the original service has been extended with several new features to create the Business Premium Virtual Office package. Read below to learn what’s new! Every Hungarian company needs an officially registered seat, where authorities expect to find it. Every message sent here is considered received and understood, that’s why it is imperative that someone is always there at your seat to receive, read, and forward mails as necessary. The Helpers Virtual Office service offers just that. 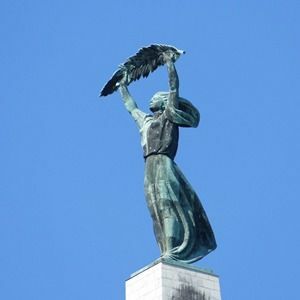 Not only you get registration for one year at a prestigious address downtown Budapest, in a financial district, but you also get the personnel to receive, open, and forward letters as necessary. Sometimes letters can be sent directly to your accountant, who will answer inquiries from the authorities on your behalf. Spam letters will not be forwarded, and the personnel disposes of them securely. In case your attention is required, you get not only the scanned version of your letter, but also get a short summary in English, with instructions on how to proceed. When needed, the hard-copy of any letter is also forwarded to you anywhere in Hungary (or anywhere in the world, for a surcharge). The new, extended premium package offers everything included in the standard package, complemented by services our clients asked for over the years. Now these convenient add-ons are available not only individually, based on request, but also in our new package, to make Hungarian company operation even more comfortable. If you choose this package, your mail will be regularly collected not only from your company seat, but also from your private Budapest address. 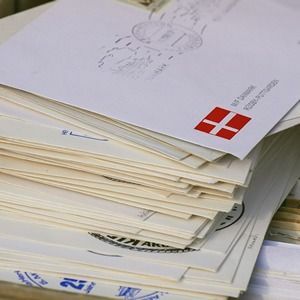 The letters scanned will be uploaded in a secure online storage, which you can access wherever you are. If needed, hard copies will be forwarded to you, even to your foreign address, without a surcharge. Moreover, you get your logo displayed at your registered company address on a separate plaque, to indicate to prestige of your business. You also get a company stamp to verify outgoing documents – which you may choose to leave with your accountant or with the person authorized to act on your behalf while you are not in Hungary. You also get a yearly domain registration for your company name, so you can easily set up a website to increase visibility of your business. For a transparent list of the services available in each package, click here. As a special offer, if you subscribe for either Virtual Office package for two years, you get a 40% discount on the second year. If you are interested in any of the services offered by the Premium Virtual Office package, but you do not need all of them, ask for a tailored solution and receive only the services relevant for you. If you order more services from Helpers at the same time, like the secretary or background office service to have someone pick up the phone for you, you can get a bundle discount. Just write a letter to info@helpers.hu, or contact your account manager. Hungarian Entrepreneur Residency is the best option for businessmen who wish to start a business and obtain residency in the EU. Company formation in Hungary takes only a few days, you can start operation almost instantly, and getting residency takes only a few months. 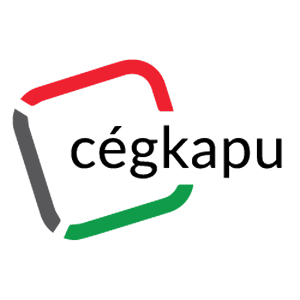 Cégkapu: What is the “company gate” in Hungary and why do I need it? The “company gate” is an electronic storage where official mail sent to your company is always accessible. Whenever you get an official letter, a notification is sent to your indicated email address. You can then log in to the company gate and view the message.